This is another non-family item that I’m posting purely for its historical value. This postcard, sent from Montello, Wisconsin, was purchased on eBay. 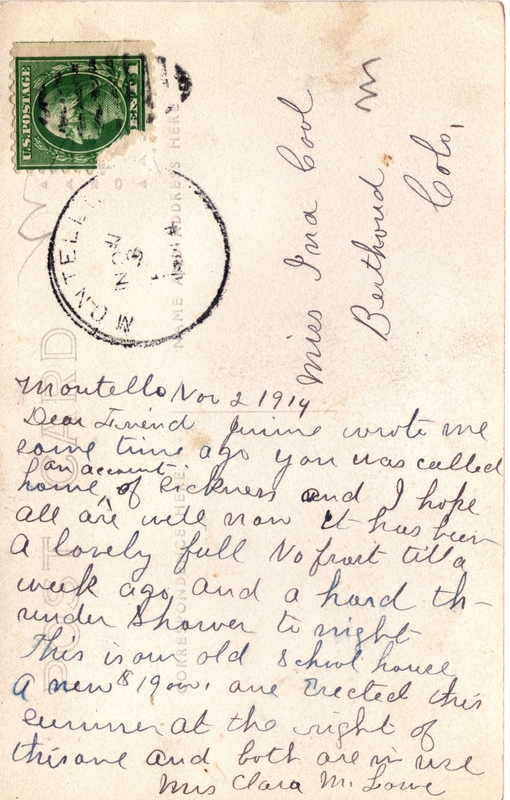 It was sent by Clara Malinda Young to Miss Ina Cool on 2 Nov 1914. 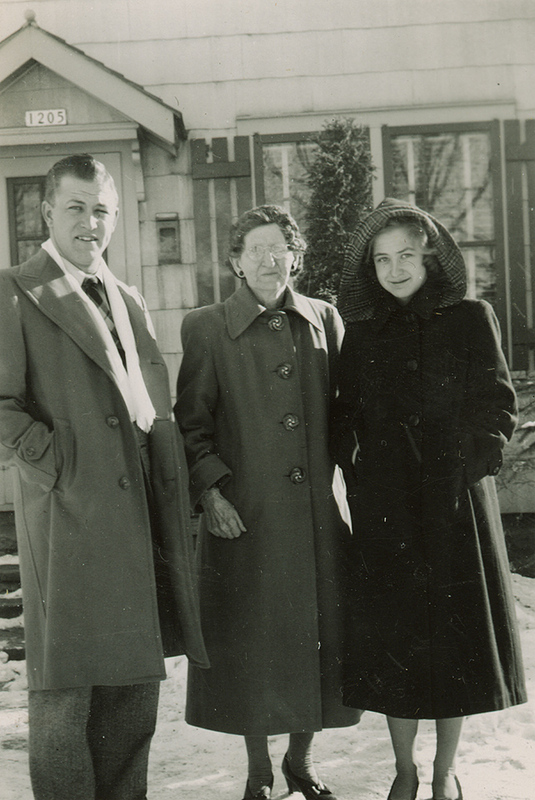 It’s nearly certain that my Zierke relatives knew Clara since Montello is not a large town and the Zierkes lived in and around Montello from 1865 to the present day. 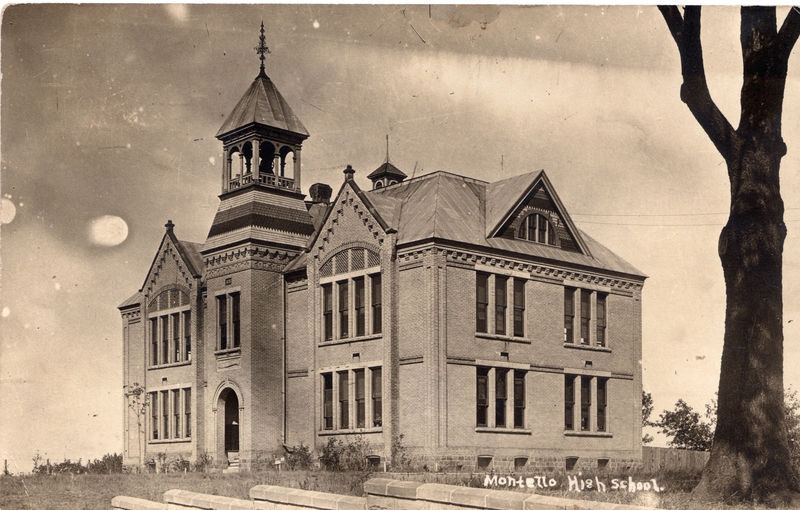 It shows the impressive, imposing, and lovely old Montello High School, taken during the construction of a newer school adjacent to this one. 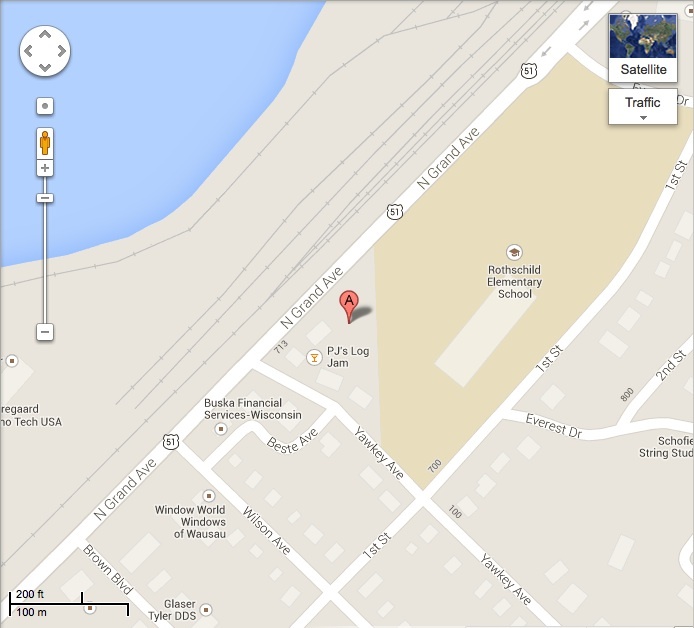 Interestingly, as of this writing you can buy the newer Montello High School for about $70,000. The postcard indicates the new school cost $19,000. So… you know… $51,000 for 100 years of use? Not bad. 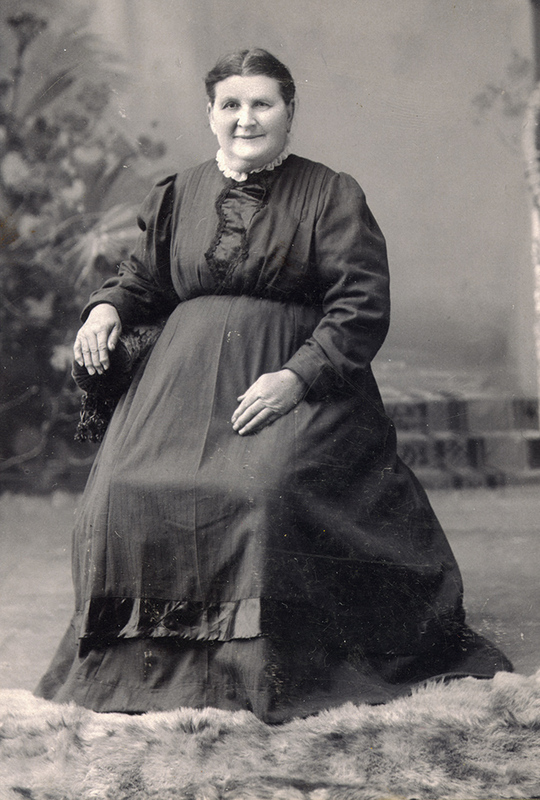 Clara Malinda Young was the daughter of John C Young (b Burrell, Rhode Island to Othniel Young and Ruby Southwick) and Eliza Walcott (b Brookfield, Vermont to Zebina Walcott and Clarissa Ingalls). Clara’s parents were married in Andover, Massachusetts on 11 Dec 1851 [link]. 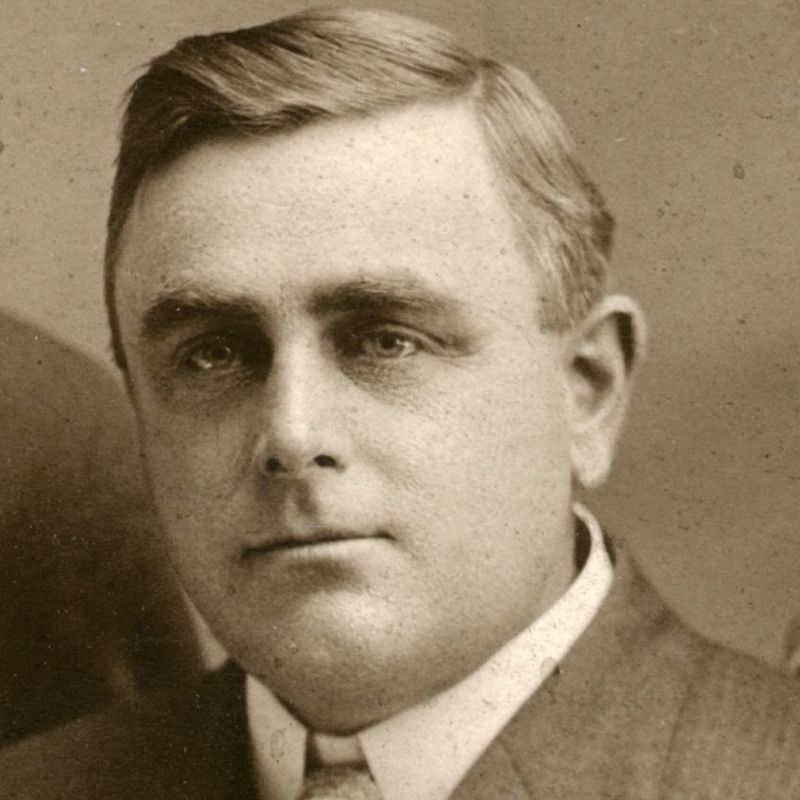 Wilber Walcott Wells, born 23 Dec 1879 in Montello, died 1900 in Montello. 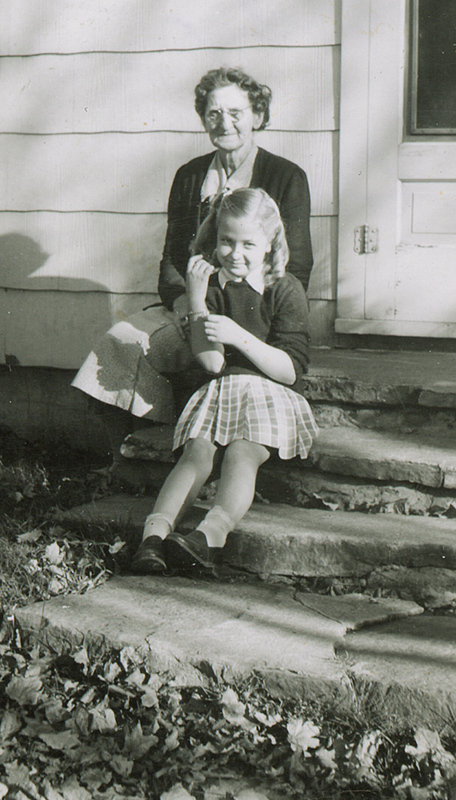 Mary Elizabeth Wells, born 7 Jan 1884 in Montello. Unnamed Son (possibly stillborn), born 4 Nov 1887 in Montello. Clara and Barney are in the 1880 Census for Montello, Wisconsin with their first three children. Barney Wells died 18 Nov 1890 in Montello, and Clara remarried to George Leroy Lowe in Montello on 15 Jun 1897. Clara died 15 Mar 1917 in Wisconsin, likely in Montello. For her part, Ina Cool seems to have been born in 1894 in Minnesota, the daughter of Willis Cool and Susan E Vroman. They can be found in the 1900 Census for Nekoosa, Wisconsin and the 1910 Census for North Berthoud, Colorado. Ina’s father Willis was born in Wisconsin, and he can be found in the 1870 Census for Adams, Wisconsin. Ina apparently married Everett M Haworth in Berthoud on 27 Jan 1915. A little after the turn of the century my great-great-grandfather Wilhelm Schmidt opened a saloon on the outskirts of Weston, Wisconsin. [In 1917 the part of the town where the Schmidts lived was incorporated and became the village of Rothschild, Wisconsin.] 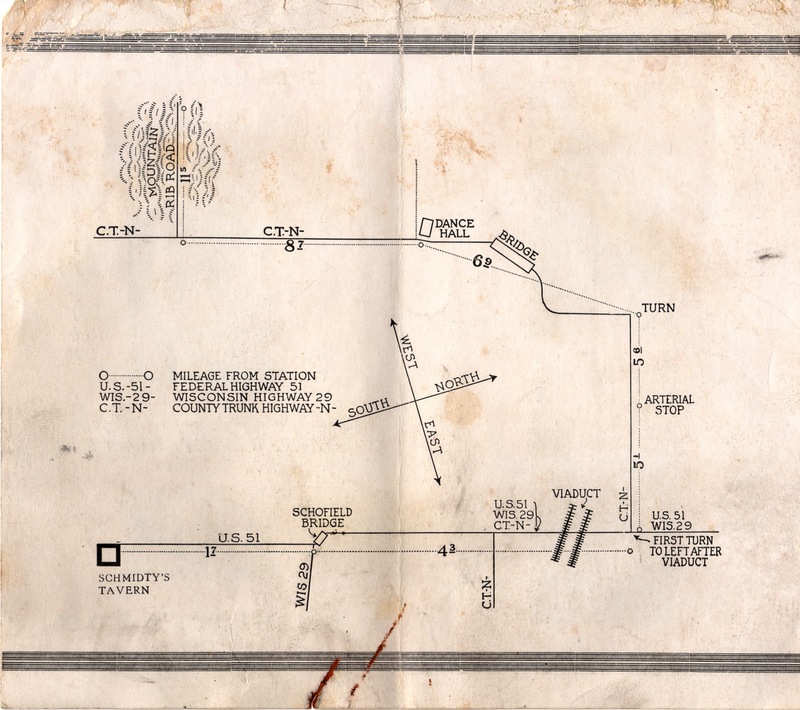 The saloon was located on what is today Highway 51, and was was then called Grand Avenue. It was the only place to drink between the Rothschild Paper Mill and Wausau, where most of the workers lived, and it was right along the highway that led from the mill to town. It did big business with the mill’s thirsty workers whenever each shift ended. The saloon underwent several name changes. 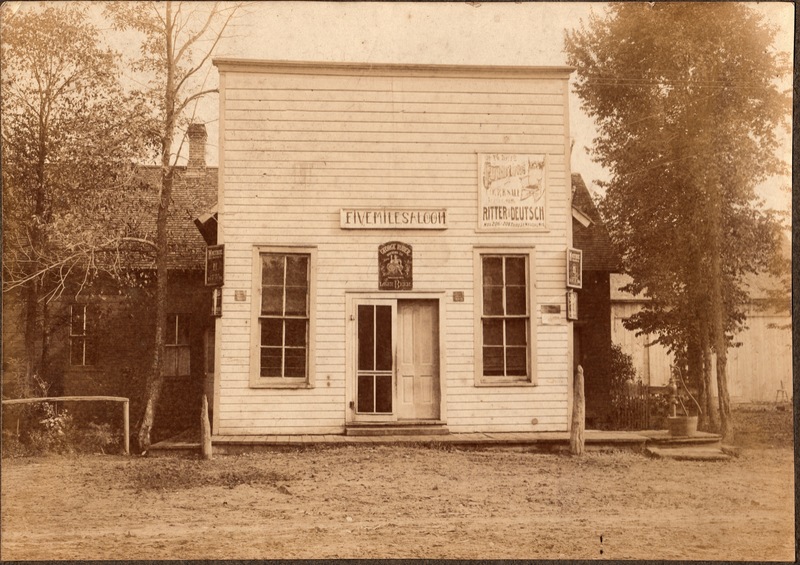 It was known at various points as the “William Schmidt Rothschild’s Saloon”, the “Five Mile Saloon” [so-named because it was five miles from Wausau], and the “Schmidt and Throm Saloon”. From what I’ve been able to determine from land records, the saloon was located near the present site of “PJ’s Log Jam” just outside of Rothschild. The saloon apparently opened sometime between 1900 and 1905 since Wilhelm was listed as a “farmer” on the 1900 US census for Weston, Wisconsin, then was listed as a “Saloon Keeper” on the 1905 state census. 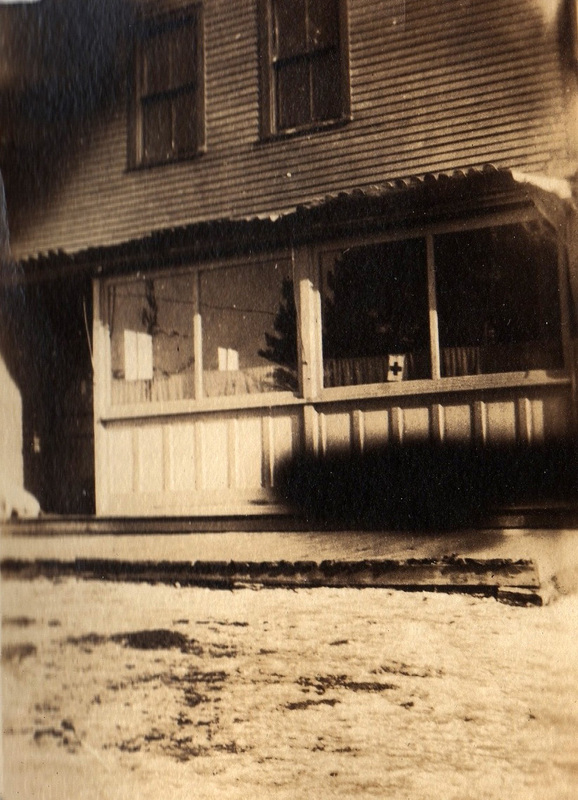 This photo was taken right about 1905 outside William and Ottelia Schmidt’s “Rothschild’s Saloon”. Fred Altenberg is listed as a farm hand living with the Schmidt family in the 1905 census. 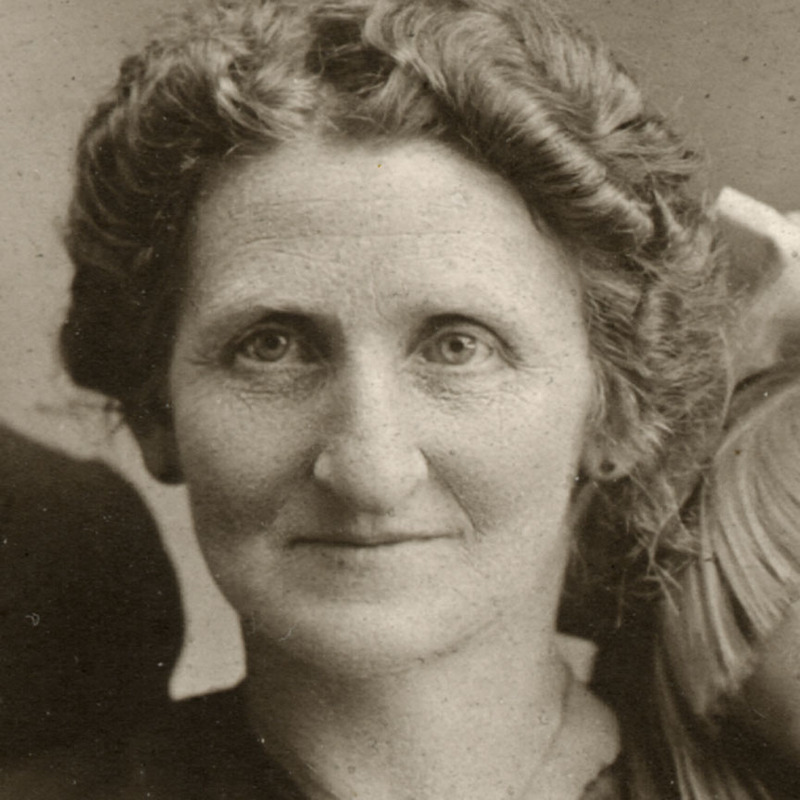 I find the caption somewhat humorous because Ottelia would not become a grandmother until 1912 when the Schmidt’s first child, Mabel, was born. Apparently the bar could be a fairly rough-and-tumble place. The experience of working in the saloon lead Wilhelm’s son Albert to become a teetotaler, according to his son Russ Schmidt. 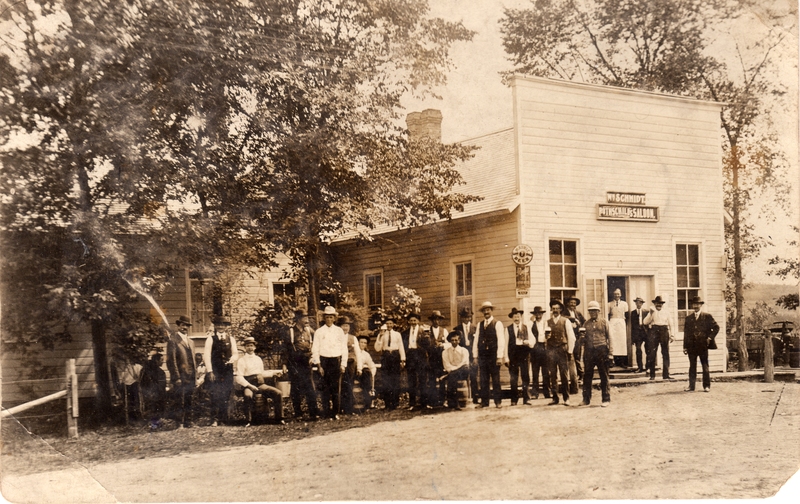 This next photo, likely taken a couple of years later, shows another angle of the Saloon with a bevy of locals drinking and celebrating. The man in the doorway seems to be my great-grandfather Edwin Schmidt. Photo courtesy of Jayne Schmidt Robinson. This photo shows the saloon during its “Five Mile Saloon” phase. Seemingly not much was changed except the name. Photo courtesy of Norma Wendorf Bandock. 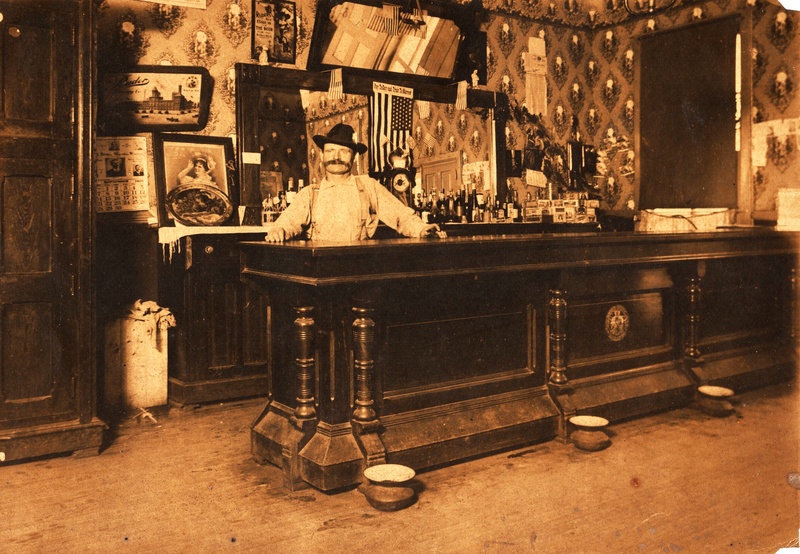 This next photo, taken on Labor Day, 1908, shows my grandfather, the proud owner, behind his bar. If you have some time, download the photo and really go over it in detail. There’s so much to see behind the bar! This next photo shows the “back room” of the Saloon (you can see that the wallpaper is the same). 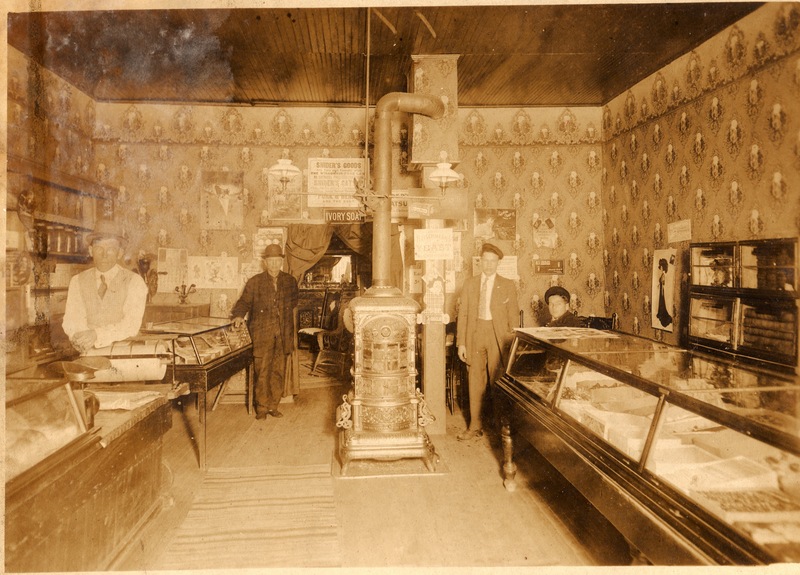 There is an elaborate pot-bellied stove in the center of the room, a scale and packaging paper on the left, and a display selling cigars, cigarettes, and chocolates on the right. There is also a smaller room for employees visible in the back with a beautifully-carved dresser. A barely-visible calendar on the wall shows the year: 1909. 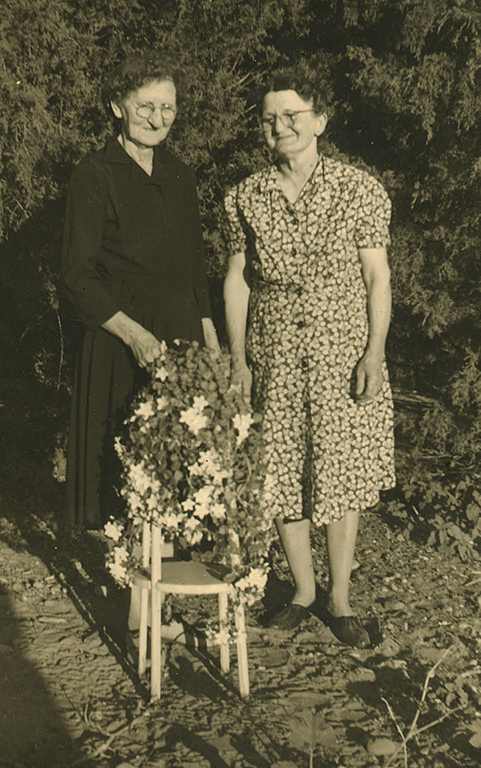 Photo from the archives of Norma Schmidt Krueger. Wilhelm apparently ran the bar with help from his wife, Ottelia Zierke Schmidt, and his son Edwin Schmidt Sr., my great-grandfather. 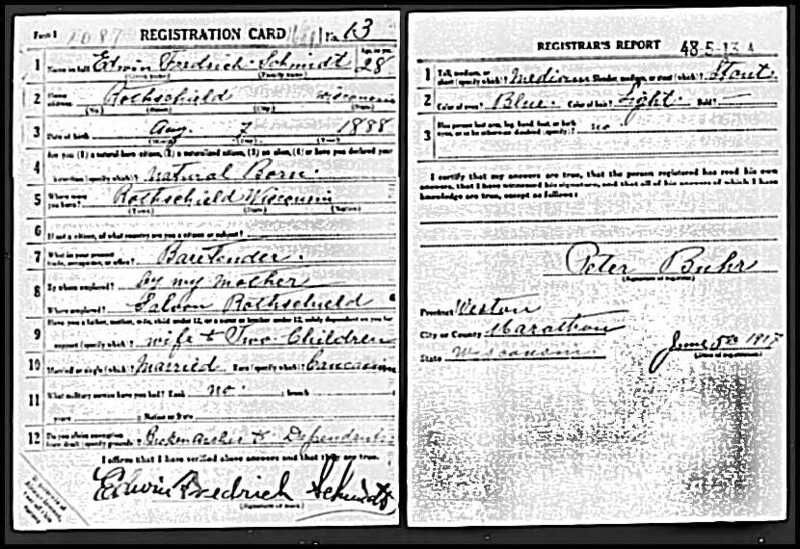 Edwin Schmidt’s WWI Draft Registration Card from 5 Jun 1917 lists his occupation as “Bartender in mother’s Saloon, Rothschild”. It was listed as his mother’s bar because Wilhelm was in Waupun Prison at the time. 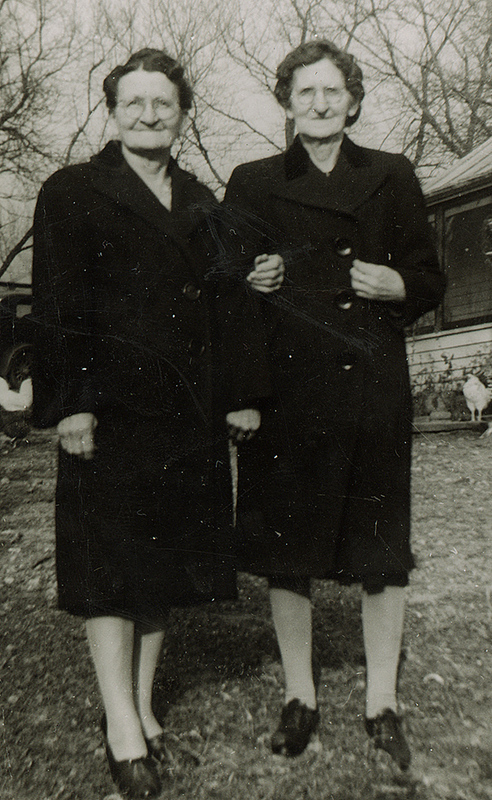 The last photo I have was part of a photo album owned by Wilhelm’s son Billy Schmidt. 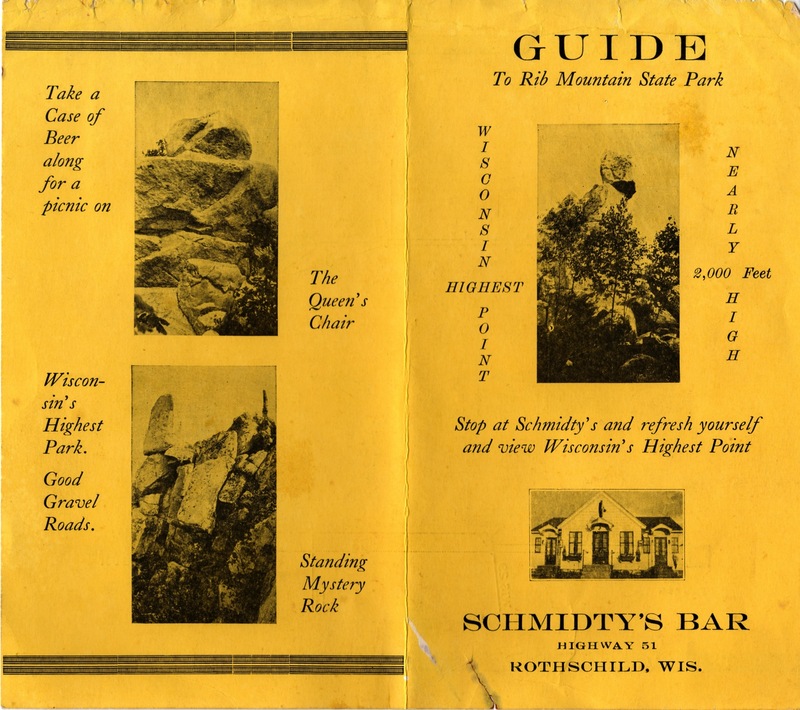 It shows a somewhat remodeled Schmidt Saloon in 1915, a few years before Prohibition took effect in 1919 shutting down most Wisconsin taverns. There are, however, family rumors that the Schmidt saloon kept operating with illicit liquor “coming in the back door” even during prohibition. This photo seems to show the view from the doorway of the Saloon looking out onto Grand Avenue, showing a passing Model T truck. 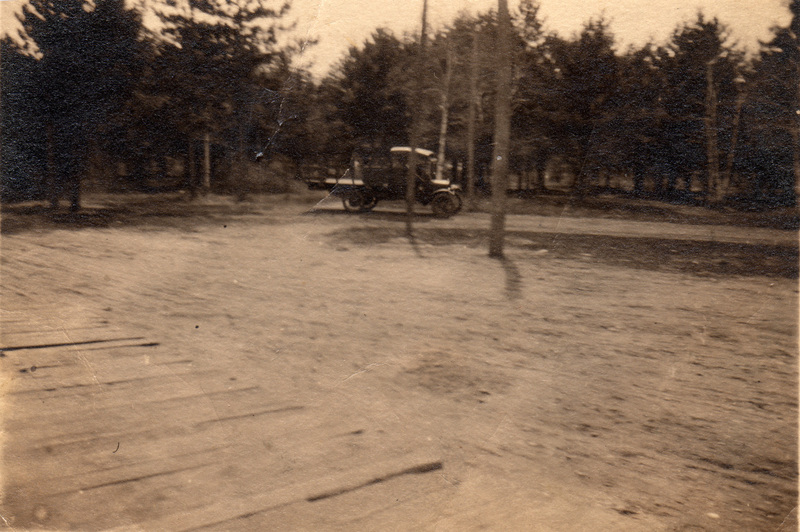 It was probably taken about 1915 also. 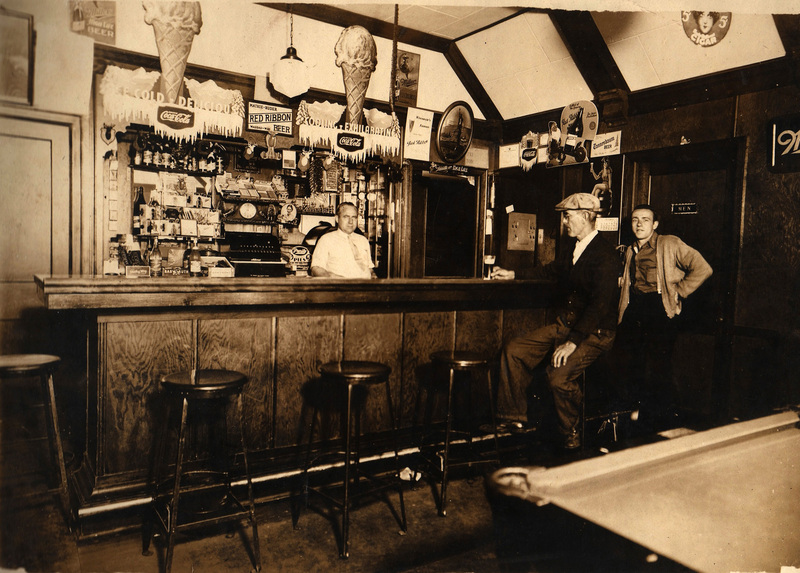 Finally, a photo of Billy Schmidt’s tavern showing the interior of the bar c1938. Item 181107240529 is no longer available. This photo shows the exterior of William and Ottelia Schmidt’s “Rothschild’s Saloon”. 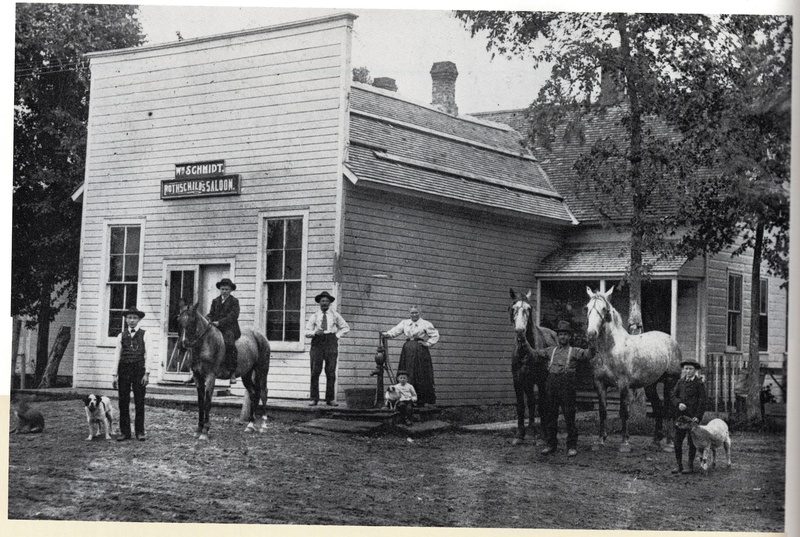 It is from the book “Wisconsin Heartland: The Story of Wausau and Marathon County” by Michael Kronenwetter, and it shows Edwin Schmidt, Louis Schmidt, William Schmidt, Ottelia Zierke Schmidt with William “Billy” Schmidt in front of her, an unknown man, and Albert Schmidt (l to r). The copy from the book was half-toned. It means the resolution is not good enough to really zoom in and get details of all the faces. I would love to be able to contact the buyer and arrange to purchase a copy of the photo, but eBay doesn’t keep records of buyers and sellers beyond 60 days. Maybe someone will find this blog entry and contact me about it. We’ll see. Physical: auf 7 Mikrofilmrollen ; 35 mm. Often the process of going back over records you’ve seen many times can be very fruitful. Tonight I was looking at the German passenger list for the Zierke family, who came to America from Prussia in 1865 aboard the “Neckar”. 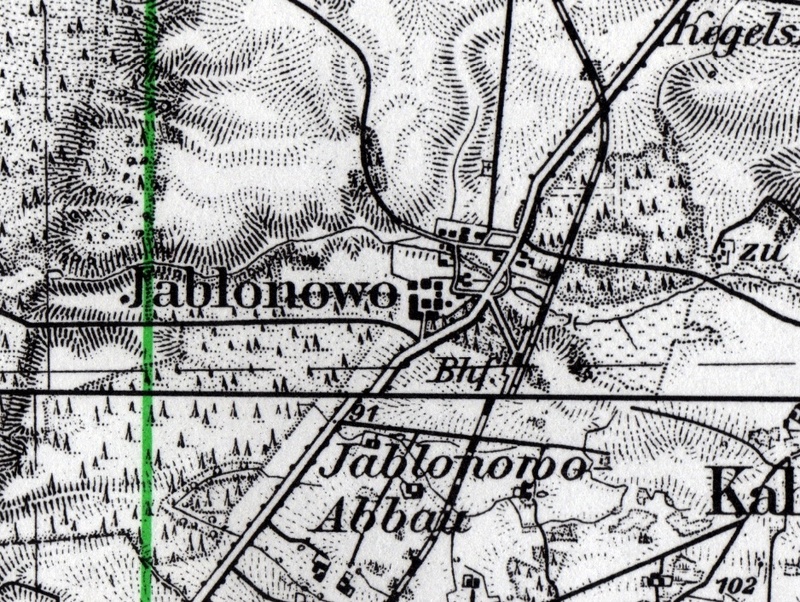 Curiously, a transcription for the town where the family had come from had been added, and it said “Jablonowo”. One thing I’ve come to learn about the German passenger list transcriptions on Ancestry… they are usually pretty good. The people who do them seem to be experts in German handwriting of the 19th century, and they are often able to pull out information that would not be apparent to English-speakers. So I looked up Jablonowo, and almost immediately I saw one entry from Kreis Kolmar. This was quite interesting to me since the Hadow and Willegal families were from Kreis Kolmar, as was the Schulz family, as was the Zierke family who immigrated to Princeton, Wisconsin. All four of these families are linked to my Zierke family in some way. Some circumstantially, others definitively. This map shows the proximity of the towns where these families came from. The Hadow/Willegal family is highlighed in yellow. The Schulz family is highlighted in green. The Princeton Zierke family is highlighted in blue, and Jablonowo is highlighted in purple. 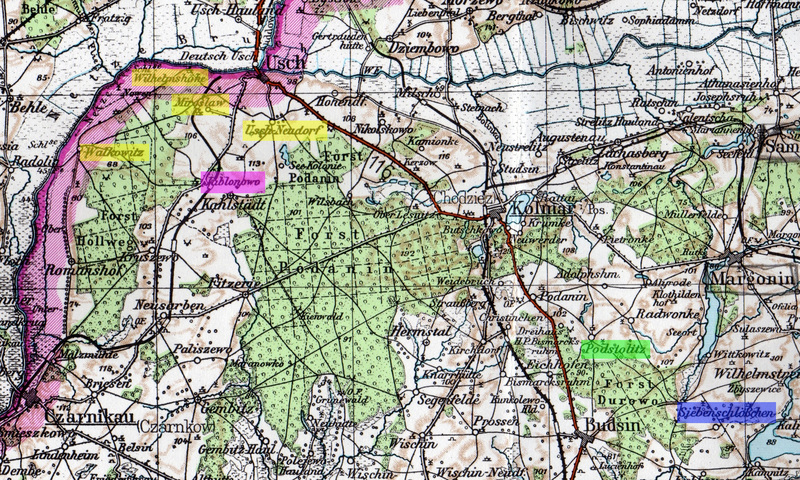 If Friedrich Zierke did marry Dorothea Hadow as I believe, you can see how close those towns are to each other. From Usch-Neudorf to Jablonowo is only 3 miles!